This was a hard week. Not only was the mister away for his operation and recovery but I also didn't attend one derby training session so I was already two hours down exercise wise. Looking after the two kids alone took most of my energy. Sesame deciding to wake before 6am most mornings wasn't helpful. This week was the first week I wished I ran or enjoyed walking. My anxiety flares up when thinking of going for a walk with both kids. A treadmill would be ideal. A free treadmill that is. Anyway, this week was pretty much a write off. I did under four hours, the lowest I've done in months. Next week should be back to normal. I have my usual four hours of training so will, at least, be exercising more. We always have set backs but you girl sure did rock it despite the set backs! Well done!!! 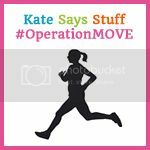 Ive just joined operation move so I'm excited to share the journey! Still more than me!! 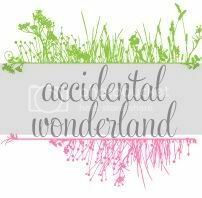 ... scrimmage is on as I type, but at least I got to 4 hours last week ... at the moment I'm at home with my two little ones who are worth it :) ... PS Very curious, what are ballerinas?? I have no idea what a fire hydrant is but it sounds hard!